It’s International Women’s Day which, to my mind, is a wonderful excuse to share stories of some extraordinary people (I’m a sucker for an inspirational yarn!). I went out and asked some interesting people who their outdoor heroes are, specifically asking for stories that they think deserve a wider audience. The responses were fantastic and I was introduced to a bunch of people and antics that I’d never been aware of before. 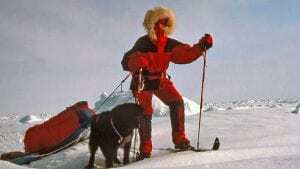 One of my personal outdoor heroes at the moment is Laura Dekker. Laura was 13 years old when she first announced that she wanted to become the youngest person to sail solo around the world. A long court battle later and she was finally permitted to attempt the feat in 2010 at the ripe old age of 14. She spent the best part of two years circumnavigating the world, succeeding in her record-breaking attempt in January 2012. Much of her trip was filmed for a documentary called Maidentrip, which is well worth a watch. I’m bowled over by the chutzpah and determination. Leigh McAdam (@HikeBikeTravel) introduced me to Gertrude Bell; mountaineer, linguist and archaeologist. 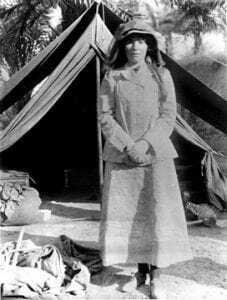 Often referred to as a ‘female Lawrence of Arabia’, she is best known for playing a major role in establishing and administering the modern state of Iraq following WW1. But where the legend of TE Lawrence mostly lives on in film and literature, a Guardian article in 2003 claimed that ““Miss Bell” is still a name in Bagdad”. Her long list of accomplishments include being the first woman to win a first in modern history from Oxford, teaching herself Persian and launching an expedition to climb the north-east face of the Finsteraarhorn which resulted in her surviving 53 hours on a rope when they were caught in a blizzard! Leigh also admires Beryl Smeeton, describing her as “a lady who travelled across continents before it was done”. Along with her husband she made 3 attempts to sail around Cape Horn on a 46’ Bermudan ketch; something few small boats had ever attempted, let alone achieved. On two occasions storms nearly smashed the boat to pieces and on both occasions they limped to Chile for repairs. They finally succeeded on their 3rd attempt in 1968. 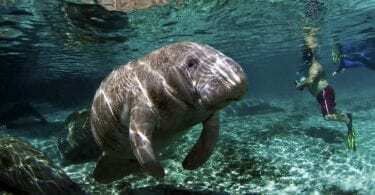 She and her husband were also avid conservationists and in 1971 founded the Cochrane Ecological institute, dedicated to breeding endangered wildlife. 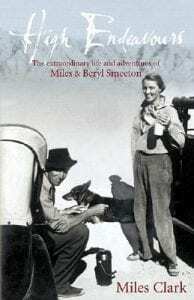 Stories of the couple abound and are captured in Miles Clark’s book, High Endeavours: The Extraordinary Life and Adventures of Miles and Beryl Smeeton. Paulina Dao told me about Jenny Bruso. 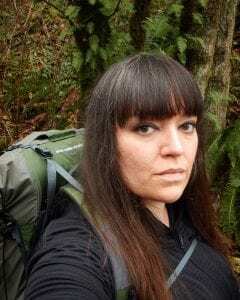 Describing herself as “a queer, fat, unlikely hiker” Jenny is someone who has spent the last few years fighting tirelessly to challenge the image of what it means to be ‘outdoorsy’ and make the outdoor community more inclusive. Not only that but she promotes the mental health benefits of spending time outdoors. I have a soft spot for programmes that make the outdoors more accessible to people but the fact an individual (not an organisation) has spawned a whole community of other ‘unlikely hikers’ is deeply impressive. You can follow Jenny on Instagram here. Hiking Lady, Carol Roberts describes Helen as “by far the most dynamic and inspirational person I have ever met”. She’s an explorer, photographer, author and athlete known for being the first woman to complete a solo trek to the magnetic north pole, a feat she accomplished when she was 50 years old. She is also the first woman to walk across the Saraha desert, the first woman to walk across the Gobi desert (which she did when she was 63!) and she has kayaked 2,200 miles in the Amazon. These days she and her husband put a lot of their (unbounded) energy into their not-for-profit Adventure Classroom, which aims to inspire children to set goals and love the outdoors. Carol has written a full profile on her blog, Hiking Lady. Nellie was a 19th century journalist, industrialist, inventor and traveller. She pretty much invented investigative journalism when she went undercover to do an expose on the brutality of the Women’s Lunatic Asylum on Blackwell’s Island, NY. 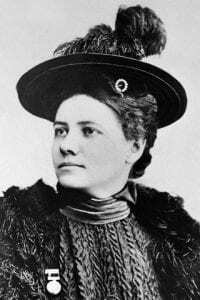 But she is best known for emulating the fictional Philleas Fogg when in 1889 she attempted to travel around the world in 80 days. Another journalist, Elizabeth Bisland, was dispatched by a competing newspaper to race against her. Not only did Nellie achieve her circumnavigation in 72 days (travelling mostly by rail). Along the way she even met Jules Verne who told her she wouldn’t make it. Take that, Jules! So there we have it. 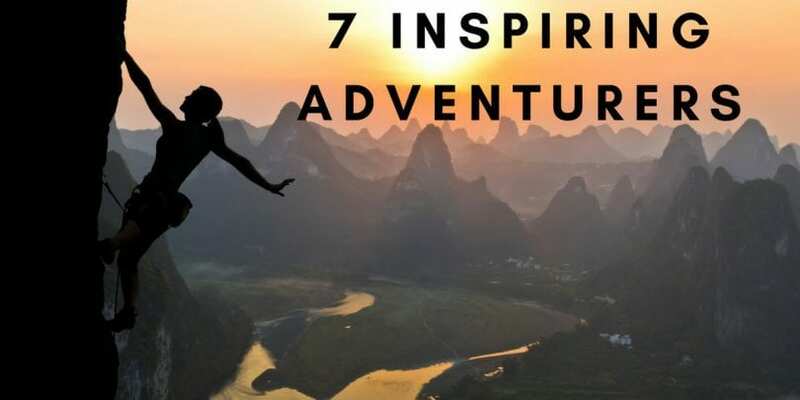 7 extraordinary people with pretty incredible tales. Which adventurers do you think we should be celebrating today? Drop your thoughts into the comments below...I’d love to read them! What a wonderful read and great to hear about other women who have achieved so much. Thank you for including my suggestions. Both books I talked about are first rate. Thank you, Leigh! Definitely going to find the time to get into those books! Great article Bertie! It is always fun to learn about women adventurers! Thank you! Really appreciate your contribution!